Kt Kingtronics has modified the company profile, welcome to check our latest one. It is worthy noted that we started to produce Aluminum Electrolytic Capacitors in 2016, which including Radial type, Snap-in type, and SMD type. 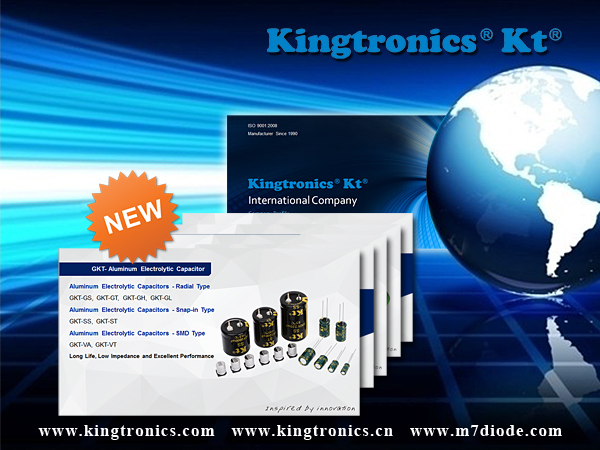 Kt Kingtronics Aluminum Electrolytic Capacitors have SGS RoHS Certification. Other products introductions and information can be found in our company profile.